Here is a picture of my pond frozen over except for the bubbler hole (taken during the arctic freeze). Winter pond — I always post pond pictures when everything is blooming and pretty. Here it is in the deep freeze. This is a simple kind of beauty. You can see animal tracks on the snow where they climb down for water. No patience, no patients – I had a doc appointment with a new super-duper specialist. I waited 1-1/2 hours. I closed my Kindle, got up off the chair and grabbed my coat to leave (I had enough of the waiting) when the doctor came in. This is the second strike for the practice. The first time, someone had written the wrong date on my appointment card so I appeared on the wrong day. I have a follow-up in six weeks. I am researching to make sure this doc with his super powers is worth it. 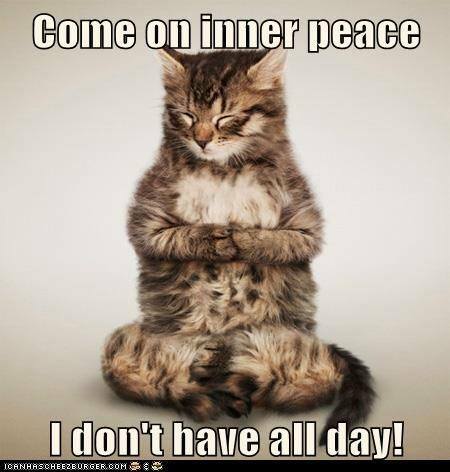 Speaking of no patience – I’m not a phone person. In fact, I hate it. Email me, text me or dang it, use snail mail but don’t make me talk on the phone. Especially not for a long time. (My teenage self is totally stunned!) This week I had two lengthy calls. One from an old friend (which I get) but the other was from someone who I had a business relationship with. She gave me 30 seconds of information but prattled on and on, reiterating it and seeking affirmation. I’m thinking of billing her for therapy. Between the two calls I used up two hours of phone patience. That’s all my body can stand for the whole year so don’t call. I’m all out. On the subject of telephones – Do your ever get strange messages? We do. This past week someone called to ask (in a rather frantic way) where their tobacco was. They had paid but haven’t received shipment. This was a phone message that was preceded by a cheerful (?) message that identified the beloved husband and me as the phone owners. No business. Just a family residence. Sure hope the lady gets her tobacco. Maybe that was code for “funny” tobacco. Slurpy – Morgan (the cat) had the sneezies this week. My computer looks like it was caught in the rain. I suspect the windows have spritz marks about a foot from the floor. More stuff to clean. This entry was posted in Health, Humor, Random Five and tagged animals, circle of life, foxes, frozen pond, miss calls, Morgan, no patience, patience, rambling speakers, sneeze juice, telephone calls by Kate Crimmins. Bookmark the permalink. I stopped giving advice. People usually want to vent rather than seek a solution. If it’s a good friend, that’s ok. If it’s too much or I really don’t care, I don’t encourage. Your tactic is a good one. Yep, and its my personal experience that negative people never really want a solution. They’ll do it their own way, or the highway. So, let’em. I give up trying, its cost me too much. I just walk away. I don’t give advice anymore either. Me too on the phone thing! I hate it. I think it’s because of all the personal business and business business that I have to do on the phone. I get so irritated to be stuck on the phone. I call my mother and once in a while my uncle and my kids. I’m sure my friends hate me because I won’t talk on the phone to them but I just can’t anymore feels like such a waste of time. When I want to talk to people I want to be right with them. My new pet peeve is that every person I talk to on the phone about business such as the bank the insurance company you name it makes a stupid mistake with the name or address or an amount and causes all kinds of problems for me. Sorry for the no commas but I had to switch to Siri. Yes, this last doc had my first name wrong. I’ve corrected it twice so far. If they submit a claim to an insurance company, everything will get fouled up. Just saw another low window with spritzes on it. Oy vay! I liked reading about your phone – it’s so funny, I’m a teenager and really hate talking on the phone as well! Technology seems to give me the hardest time lately. Haha, I also LOVE this ‘random 5’, such a fun way to give a little life update in a creative way! Hope that Dr. office shapes up. Especially if they are a specialty you have need of. Love the weird messages too – I think people must just not listen to the VM message. Or there was already some “special” tobacco involved! Or it was some sort of scam. Worried about doc too. It’s a procedure so it all goes well there may be one follow up afterward. If not, well, there might be words if the wait happens again. I’m totally with you on not liking to speak on the phone. Actually, I use my mobile phone for almost everything except phone calls! I don’t have minutes on my cell, only data and text. I don’t give my cell # out because I often don’t have it with me. I have noticed though that it’s getting sales call but fortunately I don’t pay for them unless I answer and I never answer. I was sorry when my doctor retired, even though I was always waiting at least 90 minutes. It was incredible to have to wait like that, but when he spent so much time with each patient that I understood. I think it’s part of your personal “cost/benefit” equation, and only you’ll know if he or she is worth it! Your pond is amazing to see. I am always so impressed that after a freeze of this duration it will return to such beauty and life in the spring! I’m sure you can’t wait! My breast cancer doc was like that. He was so good and his staff always recommended calling ahead to check on the wait. I don’t want to do that with all my docs though. My PC gives me a lot of time (to whine about aging) at my annual but his staff books for it. An hour and a half wait is ridiculous. I understand things sometimes come up but some physicians make a habit of it. That’s just not right. Some people just like to talk and regurgitate the same thing over and over again. Makes me crazy. I hate when people miss the universal signals that the call is wrapping up. Stuff like “so glad you called” and “was good to talk to you.” Regurgitation puts me to sleep. When everything is said and done there’s nothing left to say or do! That’s a great cat poster. Real life. The docs here have no control over their schedule: some Hospital/med corporation phone bank in a distant location stuffs in – I mean, makes their appointments. Seriously, everyone knows if you make 4-6 appointments per hours, it’s not going to work – except for system accountants. Up until now, we’ve had the back room phone numbers for the docs/head nurses as we’ve been going to them for year, but they are retiring – UGH. The future isn’t going to be good if recent appointments with their replacements is any indication…. Well now I’m glad I didn’t call her back to tell her she had the wrong number. We’ve got a rough weather week ahead here, starting tonight. Stay warm over there in PA.
Ah yes, nose art! Comes with the territory! We had some snow overnight but not enough to be troublesome but tonight and tomorrow are predicted to be bad. Snow, sleet, freezing rain, then rain. The whole freaking day! At least I don’t have to go anywhere. Yep, we have the same forecast. There is a Winter Weather Watch starting tonight. As my friend said to me this morning, this stretch of winter is the most trying. It is. My patience is gone and so is my awe of the beauty of snow. Your pond is definitely in a deep sleep! I am not good about leaving a Doc appointment if I have been waiting in the office forever because usually I have waited FOREVER just to get the appointment. I now prefer an email or a text instead of a phone call. Phone calls to Doctor offices are the worst. I try to take care of things through the patient portal. I am tired of Doctors and their offices. I want to go back to one Doc appointment a year which happened about 40 years ago! I know! I’ve always been fairly healthy and more than one appointment a year was rare. Now it’s almost monthly. If it’s not medical it’s dental or eyes or something! I use the portal too. I love when I can communicate directly with the docs that way. Even if they have one of their staff respond it has saved me an office visit or at least a phone call. This past appointment took 6 weeks to get and the one for the follow up procedure is 6 weeks out. Does that mean he’s good? I sure hope so. My sister, my cousin, and one of my daughters like to have long phone conversations. I go along with it out of love for them, but I do have to walk around and take care of other things to keep myself happy. I wish I had ear buds for my phone so I can do whatever but it happens so rarely these days. Most of my friends know how much I’m not a phone person. However, I will write an epic on email! I just carry my phone, sometimes turn it on speaker. I should get ear buds. I hate talking on the phone too – I shift around and change hands, stand up, sit down – it goes on forever. I feel like a little girl who squirms around with no rhyme or reason. I do that too. I will put things in place and sometimes go to the bathroom (hopefully they can’t hear it). Phone conversations are definitely multi-tasking opportunities. They sure are Kate. When I still worked on site, I had a Plantronics headset and I had pretty good range with it. The only time I couldn’t answer the phone was when I went to the building mail boxes in the basement and in the ladies room. My boss was out of the office more than he was there and often dictated on the road, so I would constantly be balancing the phone on my shoulder while typing … or he’d call enroute to the office just to talk. I called my mom every day to break up her day and check on her and ate my lunch the same time. I actually had to go looking for this blog today. I knew you do a random 5 on Sunday, so when now (7:30) it was not in my email nor on facebook, I went looking for it. Wonder why I can’t get them. Arrgh! Not only is waiting for a Dr an imposition of your time, but the stress of being there is just tripled. One goes to a Dr b/c they need some care. And if you don’t know why you need that care, it is made worse as my imagination takes off and I will have every known disease to mankind. And I figure I will be the first with some new diagnosis!!! I do understand emergencies come up…but it is just wrong to stick you in a room and leave you there….just wrong. My fault! With new security protocols in place, I have to manually upload to Facebook myself (rather than have WordPress do it) and I forgot today. I still don’t know why you can’t get notifications. You do more doctor visits than I do (I’m including your hubby here) and I admire your patience. The doc apologized but it didn’t have feeling and I never got an explanation or a reassurance that it isn’t the norm there. So I’m not happy. My next appointment is for 7:45 a.m. He better not be late for that! I’m definitely not a phone person. If I HAVE to speak to a long-winded friend (I have two who love to blabber on the phone) I usually just put them on speaker and go about working on my computer. They get to talk and I get to not listen. Win-win. Once, I waited for over an hour to see an OB-GYN. I could clearly hear her talking to a pharmaceutical rep in the room next door. I got dressed and left, but not before telling the receptionist why. Never went back. 🙂 My last primary doc before the one I have now (who is wonderful) had a bizarre staff. I had to have blood drawn and I could do that without an appointment. I told them I would be there at 9 (when they opened). I got there at 8:55 and the door was locked. There was another very much older woman on a walker waiting for them to open the door. We had to stand out in the cold while we could hear them laughing and giggling in their coffee room. They wouldn’t even let us into the waiting room. I left that practice. I am with you on dumping doctors who only expect their patients to be on time. I once had a 3pm apptmnt, was kept waiting til 4, then put in an airless room til 5. That was the end of it for me but not until I told him off. That is just bad business. I’m still on the fence about this guy but it will be a once and done thing so I may finish with him rather than find someone new. I loved the photo of your pond. I don’t like talking on the telephone, either. Luckily, no one calls to waste time. There was one person who said she’d like me to call her, and I felt obligated to do it. I called her three times, leaving a message. She didn’t respond. It has been three blessed years since I have talked to her. Most of my friends only call when the information is needed now or it’s too complex for an email. It’s the casual occasional caller who goes on and on that makes me crazy. Three times is a lot. Not sure I would have been as thorough. There were family strings, but in the end, they didn’t matter. You did your part. That’s all you can do. I have friends who say “let’s have lunch” yet when I try to set a date I find out it’s the equivalent of “how are you.” Meaning it has no meaning. I used to think only young people were noncommittal, but it has pervaded our society now. I had an 11:30 a.m. appointment. The first time I came at 4:15 p.m. (the wrong day) and the waiting room was jammed so I tried for a morning apt. Luckily my next one is the first in the morning. Fingers crossed. He travels from a large city 1-1/2 hrs away. Lately, I’ve had good experiences at medical appointments with little or no waiting time. Of course, I’m probably jinxing myself of a medical procedure I’m having tomorrow. We’ve gotten rid of our landline, but I get a lot of calls on my cell from people wanting to buy our house…so annoying. Unless you want to sell your house! We get postcards about that but at this point we don’t have anywhere to move to. Good luck tomorrow. 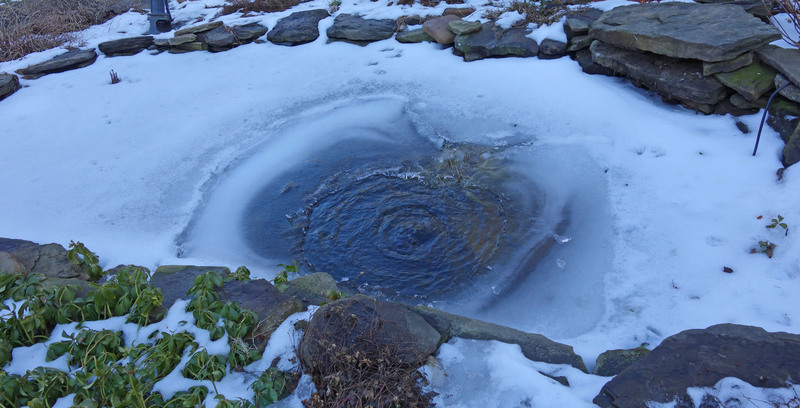 I wondered how your pond fared during the polar vortex. I guess you can’t really tell the outcome until spring. I hope all your fish/frogs survived OK. I don’t love talking on the phone either. I am a big fan of email and text. I used to think it was because I have worked in call centers most of my life, I associated phones with work and/or stress. But I’ve noticed that lots of people have this. And what is worse is that people who work in our call center don’t like to answer the phone. It’s their job and they delay answering hoping someone else will get it, preferring to work the email. I think the phone avoidance is a common thing these days. Phone conversations are more difficult in some aspects. If it’s your bestie you can rattle off your data and get theirs. With more casual friends there seems to be a social protocol and the closure gets more complicated when the other person isn’t picking up the “wrapping up” clues. That’s what happened on my one call. I got the info I needed but the caller ambled. Can’t imagine working in a call center is I wasn’t a people person (which I am not). I read your doctor waiting part twice to make sure I understood, but it appears you were already in the examining room. Dear G-d, that’s a really long time to be sitting there. All things being equal, I think I’d actually prefer to be in the waiting room for that long because I get claustrophobic. Ugh. I was in the outer room about 15 to 20 minutes and the rest of the time I was in the examining room. At one point a staff member came in to ask if I was ok and that I was “next.” It took another 30 minutes. Yes it’s very claustrophobic. Odd thing was that there were drugs in there. I was tempted to check them out. Nothing weird, just all kinds of eye drops. Oh, man, I’m constantly peeking into those examination room cabinets and drawers. Water features feed the soul equally as well as lush garden images, if not better. I’m so jealous you have that view. The closest I can come is watching snow melt in the bird bath. Just not quite the same as an actual pond. I agree with you on the phone thing though my preference is email. Hopefully the ‘sneezles’ won’t last long. Extra cleaning of surfaces is just not fair. Email is my favorite too as I don’t often check my phone. This morning there was a large fox drinking at the pond. The come squirrel hunting in my yard. When the city foxes use to inhabit my ‘hood (before the density developers gentrified everything) they would dash down the storm sewers for cover. I woke up to couples ‘frolicking’ in the night outside my bedroom window. I miss them, though I’m sure the hoodlum squirrels are most grateful they’re gone now. Email is such a godsend, I even prefered it to speaking directly with my last boss. In back of our yard is a water retention area (that rarely has any water) with a storm pipe and they scurry through there to get from one area to another. Our yard is fenced but they either go under (I think this is what they do as the one I saw was rather large) or they go between the posts (the smaller ones can do that). Our yard was fenced to keep deer out and it’s not “dog proof.” Anyone with a dog would need to add some buried chicken fencing at some spots. There is a technique to it all because they can jump. It has to be at least 6′, 8′ is better and you have to block the view on the other side. They don’t like to jump high if they can’t see so shrubs are necessary. Also we have a very steep drop for most of the fencing which would make it very difficult (the leap would have to be at least 15′). Even with all this we have 2 vulnerable spots where the gates are but so far they haven’t jumped. It’s been 4 or 5 years now. I have a 6′ fence around my garden (which is outside the back yard fence) which is jumpable but they haven’t gone in. They did eat all the lower peaches off the peach trees instead. Boogers. Love them. So pretty but so destructive. We put the fence in when our camera caught them swimming in my itty bitty pond. They can rip liners. I’ve seen deer sail over 8’ fences like they weren’t there and haven’t found anything that keeps them away other than a fierce predator on duty. Even then they manage to cause problems. Waiting at the doctor’s office can be so frustrating. One time, after waiting in the waiting room for a good while, (I was the only one) they brought me back to the room in which the doctor actually visits. As I sat there I heard nothing but silence in the halls and began to wonder if the doctor was even there. I must have waited 45 minutes when I stood up, got my purse and walked out. The receptionist was very annoyed with me, but offered no explanation as to why the wait was so long. I never went back!!!! I was seconds away from that experience. It was a super specialist but there is another one in the area. Although the doc apologized it felt insincere. I’m just afraid it happens too often. They need to schedule more appropriately if the doc needs more time. At the OB-Gyn, there’s often an an emergency that keeps the doctor. After waiting over an hour once, I finally demanded to reschedule. So now the minute I walk in, I always ask, “Is the doctor on schedule?” And if she’s not, then I reschedule. I get it, she’s the best OB-Gyn in the area, and having had multiple emergencies when I was pregnant, I know they happen and the doctor has to go. But it would be nice if they’d call and warn you. That way, those of us who are more flexible can reschedule and those who aren’t would see her. For both my gyn and breast cancer doc (who was worth the wait) I always called before leaving work. This was a morning appointment and it was an eye specialist so I wasn’t anticipating such a long wait. I doubt he takes eye emergencies but he comes from a distance and maybe there was a commute issue. You can be sure I’ll be calling first in the future although my next appointment is at 7:45 a.m. First one. Hopefully he won’t be running too late. The telephone has its uses . . . and its misuses. There was something in the tone that made me wonder. First I never heard of people buying tobacco in bulk. Then again, I don’t smoke so what do I know! I would wait 90 minutes for a doc if I had a good book in my hand. If I finished the book, though, I’d be out of there! Personally I find it hard to concentrate on a book waiting for an appointment. I was playing some games on my Kindle which is very soothing for me but even that crapped out after a while. I asked if this was something that often happened and was told no. However, my next appointment is the first of the day. Hopefully he can’t be running too late at that time. Hate to burst your bubble, but I once had the first appointment at an endocrinologist. After waiting and waiting, I asked how he can be so backed-up when I was first. They told me they had an in-service that didn’t end, yet. Hope you fare better! That was wrong. They should at least give you the option of rescheduling! You are so much more patience than I am – waiting 90 minutes! My upper limit is 45 minutes and long before I get to that point I’m starting to squirm. When I was working, I would call first to find out how far behind the doctor was before I would leave the office. I’m afraid that over time my tolerance level for waiting hasn’t improved at all. I too begrudging try to find the flip side of the story that doesn’t make the doctor look like an inconsiderate clod. I think that chronically over scheduling is a sign of disrespect for your clients. It took a while until I got to the nice side of me. I was very annoyed when I left. To be honest, this appointment is specifically for a procedure. I wouldn’t go there for any routine work. … and that’s the really annoying part. Getting scheduled for any procedure is an ordeal to begin with so rescheduling is rarely a help. In the end we really have no choice but to grind our teeth and bear it. and pray that it’s soon all over! Don’t get me started on phone messages. Mine usually start with a company wanted to sell something. That’s the key with texts and emails. People get to the point and I don’t have to spend time with the “how are you” courtesies. Oh my, that makes me sound like a bad person. Oh well. Sometimes I do care about how people are. Sometimes. I definitely prefer texts to phone calls. A delightful post as always! Actually it’s easier and you don’t have to worry about time. I like emails and such as well, but the phone is essential to me, especially for new clients. People who want to hire me via a text message for pet sitting make me a bit crazy. How do they know anything about me, and how can I know anything about their pets and whether we are a good fit without some old-fashioned conversation?? But I promise not to call you, so no worries!! For true business, phone calls are the best. I wouldn’t hire a pet sitter without a phone call and meet up. After that, I’m good. In the old days, I had them call me the first day I was on vacation to make sure they got in and all was well. This was before texts. It was nerve wracking because I ended up tethered to a phone. Now there are cell phones and texts. It’s so much easier although if something went wrong, I’d want a call. We would always call if there was any kind of concern – that’s what a good pet sitter does. I’ve had people try to hire me just sending a text wondering if I was available and what the cost was. My feeling is that these aren’t our clients if that’s all they care about. I am neurotic about pet sitters (I had bad experiences with “friends.” Never let a friend pet sit!) The saddest story locally was that a pet sitter got a friend to do a pet check and the dog got out. (Anyone filling in MUST be trained in not letting sneaky pets get out.) They couldn’t catch the dog. The more they chased the faster and farther the dog ran. They spent the week trying to find it (they had contacted rescues that specialize in lost pets) but never called the owners. The dog was never found. The owners came home to find all the drama and no pet. All local pet owners were in arms. For months we were all on the lookout for the dog. That’s a nightmare. Friends don’t let friends pet sit. Also, not a telephone person. Put it in words, written. Not words, babbled. Many years ago I left my gyno because of that. Always a wait. The last time, after waiting over an hour (which required taking time off from work), they came out and said that they had to reschedule because he was called to deliver a baby. He was in a group. Why have someone on delivery duty when they had appointments! It was definitely babylonia week here! GP appointments here are a joke, as you already know. Hubby had to make an appointment to see his GP as per instructions from A&E for a referral. No appointments in the sit and wait, so he sent an email, giving them details of hospital appointments already scheduled. They gave him the day he returns from his overnighter with the GP who cancelled his appointment as a no show when he was sitting outside her office for 2 hours. Hope Morgan is over the sneezies. I read your blog about those appointments and non-appointments. Just reading them requires an anxiety medication! What do people do who have jobs? Yikes! I am so sorry! There is a reason for that! My cats have the sneezes, too. I think it is the dry heated air of winter. 😦 I got a portable humidifier. They seem to be better. We have a whole house humidifier but it’s not as good as summertime. Sometimes I think I should get one for the bedroom. I wake us dry as a bone so it can’t be much better for the cats.